The last weeks and months have been anything but rosy for the crypto market. Falling prices and bad news have strongly affected the mood in the crypto-ecosystem – the buzzword FUD (Fear, Uncertainty and Doubt) made big waves. Some reports quickly gave the impression that the crypto-economy was at an end. No question, the first moon landing was too fast. The rise in the Bitcoin price from 7,000 USD at the beginning of November to 12,000 USD at the beginning of December was strong. But that’s not all. We couldn’t get out of the report at all: 14,700 USD on December 7, 19,400 on December 17; the “bubble” shouting was (justifiably) loud. Crypto exchanges such as Binance, Bitfinex and Bittrex could no longer accept users – the crowds were simply too big. So that’s where she landed on the moon, the Bitcoin rocket. But what now? The turbines were completely overheated, the entire ecosystem was aglow. So let’s get back to Earth as soon as we can. And that without regard to losses: There was talk of a bloodbath. The gasoline was gone, the euphoria burned out as the rocket soared back to Earth. In addition, there was the unclear question of regulation in South Korea, hackers attacked exchanges, assets were lost. In short: The mood was cloudy. We stare at the portfolio gnashing our teeth and think “I wish…”. But this is where we are wrong. Learning from the past is the order of the day. Once Bitcoin, Ethereum and the entire crypto-ecosystem have recovered, it can adapt, improve. First glance falls here on the exchanges. After the great attack, the Exchange Coincheck improved its security measures and paid its users a portion of the lost NEM. The exchanges also recently responded to the influx of new users and improved their support system. In view of the exchanges alone, the situation is improved by the “bloodbath”, the “crash” or – let us call the child realistically by name – the cooling off. Hardware wallet manufacturers can also adjust their production. After all, there were massive delivery bottlenecks at crypto-hype peaks. Such a cooling is also bitterly necessary in view of the beginning of spring and the coming summer – in the truest sense of the word. 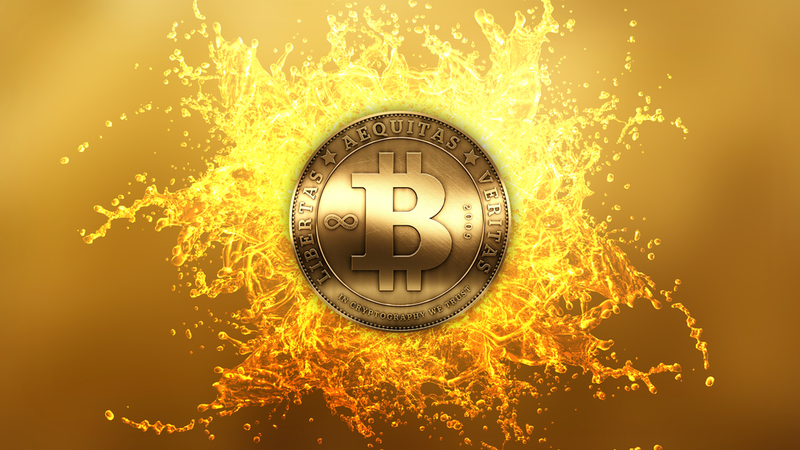 Bitcoin mining, the mining of the popular crypto currency, is repeatedly in the firing line of criticism – too hot, too expensive, destroys the environment. Moreover, due to the few large mining farms, it leads to the centralization of the entire process, which is counterproductive. Intel reacted to this problem only recently: With a new approach they want to make mining more space-saving and energy-saving – so that it becomes interesting again for smaller miners. One last point: Bitcoin can and must now establish itself. The foundations have been laid. Due to the big mainstream media hype many have already heard of Bitcoin. “This is the Internet currency with which you can buy drugs,””Hasn’t that collapsed so badly now?” You keep hearing that. But most people do not yet know that Bitcoin is much more than an object of speculation and a means to the end for the dark side of the net. Developing countries such as Venezuela and Zimbabwe are demonstrating that bitcoin can fulfil an important economic function. Once the Lightning Network has been established and the deficits in the Blockchain ecosystem have been further eliminated, we can bring the Bitcoin missile back into position. But this time, we don’t have to go back.